How long will it be until Kik Messenger releases an officially supported desktop version? Nobody knows if one is even in development, but until then, we have fairly efficient substitutes that allow us to get Kik running on our Windows PCs and Macs, the most innovative of which is the web app, Manymo. We’ve written extensively about Android emulators before, and have even made mention of Manymo. It’s unique among Android emulators in that it doesn’t require a software installation on your computer. Instead, it functions within your web browser itself, only requiring you to have the .apk files for the apps that you want to emulate in an Android environment. More than just an alternative to software emulation, Manymo is actually a preferred method among many users. The reasons that users prefer it correlate with the unique features that have allowed it to become popular, rather than just a niche service. Installed software emulators like Bluestacks and Andyroid are certainly still popular (and also free to download), but they’re innately designed for a stationary experience. Users who use multiple machines, or are forced to switch between computers more than once per day, won’t benefit from being required to have the same software installed on every machine they might use lest they lose access to their favorite apps like Kik Messenger. For users in such a bind, Manymo is an ideal alternative that isn’t a standalone mobile device where Kik can run natively. However, using Manymo requires a little bit of separate understanding than what it takes to use a typical emulator. It also requires more setup than the simple Kik signup and login that you’ll use in the mobile application itself. Because of this added technicality, we’ll walk you through the Manymo setup process in this useful guide. We’ll also detail Manymo’s pricing structure (unfortunately, it’s not free) and help you to figure out which path is the best suited to your needs. 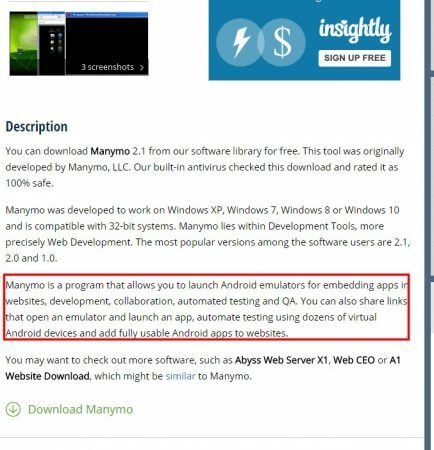 Because Manymo works entirely through your web browser, many users are thrown for a loop when it’s described as a full-fledged Android emulator. Because it’s browser-based, it won’t ever require that you install any form of extra software on your computer. Much in the same way that you can visit your favorite social media site, such as Facebook, and have immediate access to it after logging in, so to can you access the emulated Android environment provided by Manymo. There are many throughput benefits that are a result of this software design. Have you ever been frustrated by the need to pause all of your activity to upgrade software to its most recent release version? Not with Manymo, since the emulator is entirely hosted on its own web servers. How about the memory usage issues that can plague some older machines when they’re asked to run multiple applications at once? Manymo is exceptionally lightweight, and its memory demands will take place within the confines of your web browser, rather than a separate application. Maybe you’re worried about emulator resolutions not being suited to the particular app that you want to run (even though Kik Messenger can function just fine in several). Manymo supports almost every popular mobile device resolution. It’s not a perfect solution by any means. After the free trial that comes with your initial signup, you’re required to choose one of Manymo’s price points in order to continue using the emulator. You’ll also need the individual .apk files for apps that you’d like to emulate, but this is far less cumbersome than you might otherwise think. How Do I Get Started with Manymo? We’ll approach your getting started with Manymo from the standpoint of someone who wants to use it for Kik (after all, why wouldn’t you?). That being the case, I highly recommend that you use a mobile device to first set up your own Kik profile. Because Kik runs natively on mobile devices, the signup experience will be much smoother, and give you an added reassurance when you’re accessing Kik from Manymo. As you might imagine, we’ve published an article on how to get signed up with Kik, which is free for you to download no matter which platform you’re using. Once you’re signed up with Kik, proceed directly to the Manymo website. Rather than just a place to download software, this will be the launching point for your Manymo experience every time that you want to emulate an Android app. It might seem strange at first, especially for those accustomed to launching an emulator from their desktop, but the benefits will reveal themselves after only a short amount of use. To get started, you first need to sign up for an account with Manymo. Since a new signup is automatically given free trial access to the Manymo emulator, you’re actually not required to submit an extensive amount of information. Click on “Sign Up” at the heading of the main landing, and submit your name, email address, and password. Though you’ll later be required to pay for continued use of Manymo’s services, the ability to give it a whirl without any up-front cost is welcome for those who haven’t run an emulator before. After you’ve submitted your information, you’ll be asked to verify your email address. Simply follow the link that Manymo sends to the provided email address and you’ll be good to go! After, you’ll be shown the various price points available to Manymo users. These range from “free” access, wherein you’re given “ten time-limited emulator launches, one at a time, per month,” to Manymo’s “ultimate” emulator plan which features “10,000 emulator launches, up to 12 at a time, per month” for $199 per month. Obviously, there’s a wide range of plans and accessibility options between these two price points, but it goes to show just how widely Manymo is used by its many users. Now that you’ve signed up with Manymo, there’s one more critical step that’s necessary before you can run Kik through it. Before anything else, you’ll need to find and download the Kik Messenger .apk. The .apk file is, essentially, the file for the Kik application itself. Fortunately, this is fairly easy to accomplish, and just like downloading Kik, it won’t cost you a penny. Simply search for “Kik Messenger .apk” using your search engine and find the most up-to-date version of Kik that you’re able to. After you’ve downloaded the Kik Messenger .apk, you can head right back to Manymo and get ready to launch it! From the emulator launch portion of the website, you’ll want to select “Launch with App” in the top right corner. This will allow you to start the Android emulator with a prepared version of Kik Messenger that you can use in your browser. Without the .apk you won’t be able to launch Kik, so don’t forget that critical previous step! From within this window, you can drop your downloaded .apk file right into your browser! 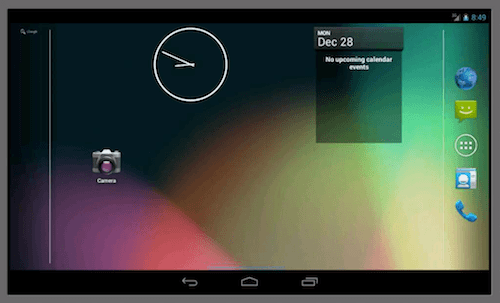 After doing so, you’ll be prompted to launch the Android emulator. As soon as the emulator window is up and running with your freshly downloaded Kik .apk, you’ll very likely be surprised by how familiar it all looks. Because it’s an emulated version of Kik, all of your standard login process and procedure will get you started quickly and easily. Do know, however, that if you’re still using the “free” version of Manymo, you’ll have only a limited amount of time in which you can use your emulated version of Kik. The free access to Manymo only allows ten limited-duration emulations per month, and once you’ve used them up, you’ll have to wait until the end of your 30-day period before running more. Alternatively, if Manymo is a service that you see yourself frequently using, the paid plans begin at 100 unlimited duration emulator launches per month, for only $9. Though we feature this particular tidbit of advice frequently when writing about Kik Messenger’s login procedure, it bears repeating here that you should regularly back up your chat history that you wish to save. Every time your profile is logged out of Kik, your chat history–including any media such as photos or videos–is wiped clean. The only element of your profile that will remain saved is your contact list. Since Manymo will not save your Kik login between the instances in which you launch it, it’s important to get in the habit of saving those messages and media that you don’t want to lose. Cloud-based resources such as Dropbox and Google Drive are particularly handy for this task since they too can be accessed from within your browser and don’t require any software installation on your computer. Currently, Manymo remains the best option by which to access Kik Messenger from your web browser. Users looking to avoid the necessary software installation that comes along with most emulators will find a very capable alternative in Manymo, even if the accompanying price tag for less limited access might come as a surprise. With so few web apps available to host your Kik experience, and no native desktop client within sight, why don’t you chime in with some of your own experiences in the comments below?